Contests - Frontierville Express - More Than Just A News Site: Team Bess V Team Fanny - You decide! It's that time of year and love is in the air. 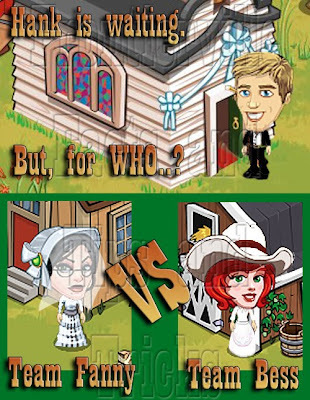 Now is the time to decide which of our lovely Frontierville Maidens have stolen Hank's heart. Chose whose team you want to join and be in with a chance to win a full Postcard Collection, 1 Horseshoes (Inn Collection), +1 Max energy (Sawmill Collection) and 100 Cloth! 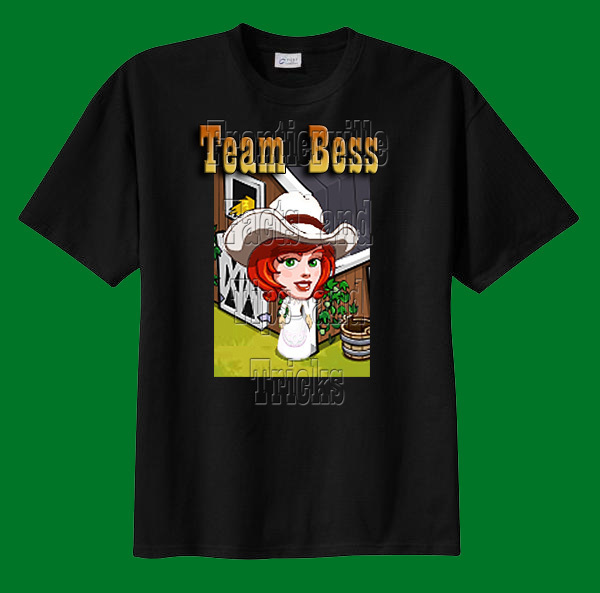 Team Bess is the winner with 73% of the vote! The raffle chose Vanessa Atkins for the big prize! Thanks for taking part everyone! !